Mubarak Released From Prison, Now Under House Arrest : The Two-Way The 85-year-old former president of Egypt is now under house arrest while he awaits a retrial on charges related to the deaths of protesters during the 2011 demonstrations that toppled his regime. He reportedly was flown by helicopter to a hospital in Cairo. A supporter of former Egyptian President Hosni Mubarak celebrates his release from prison on Thursday. He's still under house arrest while awaiting retrial on various charges. Former Egyptian President Hosni Mubarak has been released from the prison where he's been held while awaiting a retrial on charges related to the killing of protesters in 2011. The protesters lost their lives during the demonstrations that led to the topping of Mubarak's three-decade-old regime. Earlier this week, a court ruled that after being held for two years while on trial and during his appeals, Mubarak could no longer be kept in prison. He's also facing corruption charges. Reports from NPR's Peter Kenyon, the BBC, Reuters and other news outlets say a helicopter carrying the 85-year-old Mubarak lifted off Thursday afternoon from Tora prison in Cairo. What's next for him? As Al-Jazeera writes, "the interim prime minister's office had said Mubarak would be placed under house arrest, following a court ruling stating he could be released from prison pending further investigation into corruption charges against him." 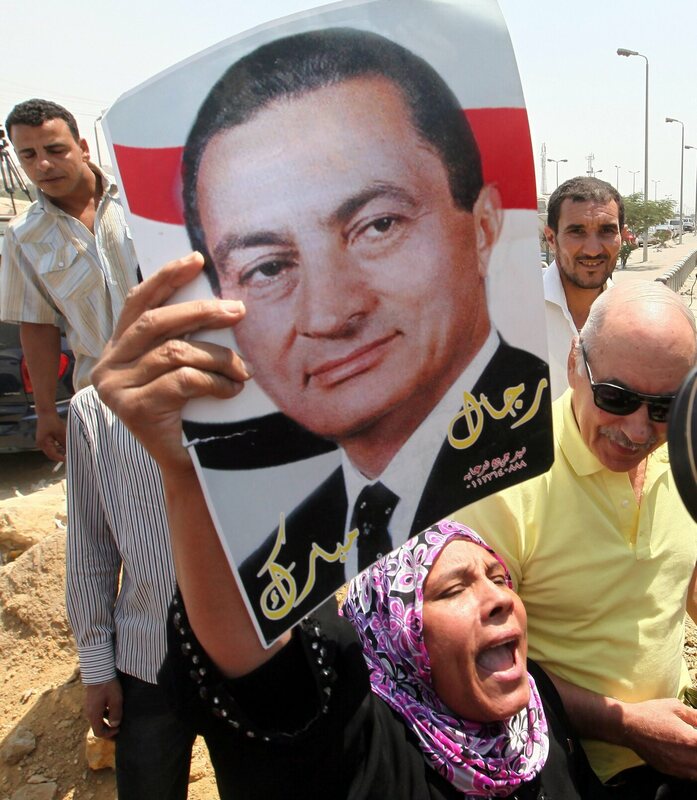 The Associated Press says Mubarak is being taken to a military hospital in the capital. NPR's Kenyon says the helicopter was seen landing near a hospital in southern Cairo. "Egypt's first democratically elected president — Mohammed Morsi — remains out of sight. He was ousted by the military last month and has been held since then. He's being investigated for alleged conspiracy and murder."